Bing is changing up how ads appear in its search engine by increasing the number of ads present at the bottom of the page and removing text ads from the sidebar of search results for US users. Specifically, Bing is increasing from 3 bottom-of-the-page ads to 4 ads and removing sidebar text ads in the United States. Product ads, on the other hand, will remain within the sidebar. This change also means that Bing will no longer be allowing advertisers from the US to run sidebar text ads at all. According to the announcement, Bing was motivated to remove sidebar text ads because bottom-of-the-page ads often include richer ad formats that provide more in-depth information that possible in the sidebar. 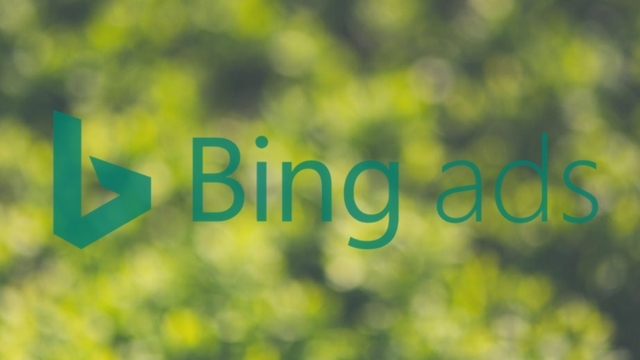 While these changes are currently limited to the United States and Bing Ads will continue offering sidebar text ads in other countries, the company says it will be considering removing the ad type in other counties in the future. Based on their data, Bing says removing the sidebar text ads increases the overall clicks for advertisers, especially those running Mainline Text Ads and Product Ads. Pinterest’s Shopping Ads, which create ads directly from your existing Pins and content, have officially moved out of testing and been made available to hundreds of advertisers across the country. Shopping Ads launched to a handful of major brands last year, including Ulta Beauty, Venus, Overstock, and Lowe’s. The ad format pulled images from product feeds to instantly generate ads. This is a boon for marketers, as Pinterest says 90% of users make purchases through the platform and 70% of users saying they use the service to find new products. To sign up to be a part of the Shopping Ads program, businesses must complete a Pinterest Propel Program sign-up form. Once you’ve done this, Pinterest says it will contact your business directly. In addition to expanding its Shopping Ads to a wider range of businesses, Pinterest says it is already testing new ad designs intended to create “more visual shopping cues” and expanding its Shop the Look program to a number of countries, including France, Germany, and the UK. Google has released its latest “Bad Ads” report, which shows the search giant is cracking down harder than ever on ads that violate its advertising policies. In total, the search engine and ad platform has removed over 3.2 billion ads in 2017, nearly doubling the 1.7 billion ads removed in 2016. “That’s more than 100 bad ads per second!” writes Google’s director of sustainable ads, Scott Spencer. 79 million ads were taken down for sending users to malware-laden sites. About a year ago, Google launched new brand safety controls for video and display ads. As such, they updated their policies to prohibit the monetization of inappropriate and controversial content. Reflecting these policy updates, Google reports it has removed 320,000 publishers that violate publisher policies, blacklisted 90,000 websites, and banned 700,000 mobile apps in 2017. “After expanding our policy against dangerous and derogatory content in April 2017 to cover additional forms of discrimination and intolerance, we removed Google ads from 8,700 pages [that] violated the expanded policy,” writes Spencer. Spencer says Google also recognizes that only a small number of publishers account for the vast majority of sites that misrepresent themselves or present themselves as another legitimate organization. Of the 11,000 websites reviewed for possible misrepresentation, 650 were blocked and 90 publishers were removed from Google’s ad network. The report shows how Google’s latest policies have worked to cut-out ad fraud and policy breaking advertisements across their AdWords network, but they won’t be slowing down anytime soon. Search Engine Land reports that Google is poised to enact new restrictions for ads related to financial products later this year. Tweetdecking gets its name from the app TweetDeck, which can schedule posts ahead of time. Conspiring accounts were working together to retweet content in order to force it to go viral. In this case, most of the accounts removed were using the technique to steal content (including memes and jokes) to make accounts more prominent. These accounts would then use their artificial popularity to promote other accounts or products for financial profit. This practice blatantly violates Twitter’s spam policy. It is also just the latest instance of users and brands gaming the system to increase their online presence. Since the earliest days of Google, brands and “black hat” users worked together to rig the search engine to ensure high visibility. Usually, this took the form of buying links to artificially appear authoritative to Google’s algorithm. The search engine has since worked to eradicate the practice, but similar tricks like buying “likes” or “retweets” have since sprung up on almost every other popular social platform. Twitter’s latest bans are the most recent crackdown in a long-running game of whack-a-mole. Still, it provides a harsh reminder that brands who try to manipulate social networks or search engines in bad faith are nearly guaranteed to be eventually penalized or banned entirely. If you operate a website that is frequently creating or changing pages – such as an e-retail or publishing site – you’ve probably noticed it can take Google a while to update the search engine with your new content. This has led to widespread speculation about just how frequently Google indexes pages and why it seems like some types of websites get indexed more frequently than others. In a recent Q&A video, Google’s John Mueller took the time to answer this directly. He explains how Google’s indexing bots prioritize specific types of pages that are more “important” and limit excessive stress on servers. But, in typical Google fashion, he isn’t giving away everything. Mueller starts by explaining that Google takes its time to crawl the entirety of a website, noting that if it were to continuously crawl entire sites in short periods of time it would lead to unnecessary strain on the server. Because of this, Googlebot actually has a limit on the number of pages it can crawl every day. Instead, Googlebot focuses on pages that should be crawled more frequently like home pages or high-level category pages. These pages will get crawled at least every few days, but it sounds like less-important pages (like maybe blog posts) might take considerably longer to get crawled. You can watch Mueller’s response below or read the quoted statement underneath.